Once again Amazon is running a sale on Kindle ereaders, taking $20 off the price of the Kindle Paperwhite 3, the basic Kindle Touch, and the Kids Kindle bundle. The Fire HD 6 is also on sale for $69, which is $30 off the regular list price. That’s for the 8GB version; the 16GB model is $89, also on sale. Both have special offers (ads) at that price—add $15 more to remove them. The Fire HD 6 is the model that was released in 2014. It has a high resolution screen and was recently updated to Fire OS 5, but it lacks the memory card slot found on the newer models. The mysterious unadvertised few-hour Fire HD 8 sales have ended, so I guess it’s time for the Fire HD 6 to get a turn again. Except the Kindle Voyage. They never put it on sale (like one time for Prime members only). 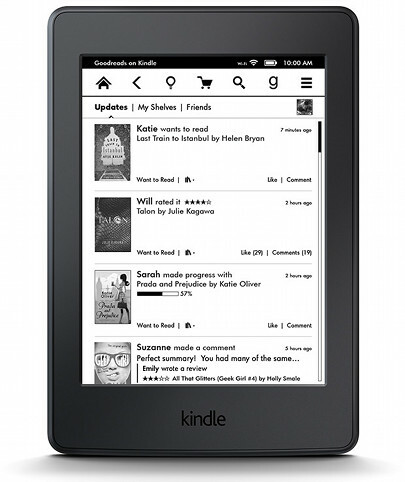 If the Kindle deals aren’t good enough, check the tablet deals roundup from yesterday. I just added the Lenovo Tab 2 10 to list; it’s marked down to $163 right now.